Join other poetry lovers – and celebrate National Poetry Month – when you attend tomorrow night’s poetry reading and book signing. 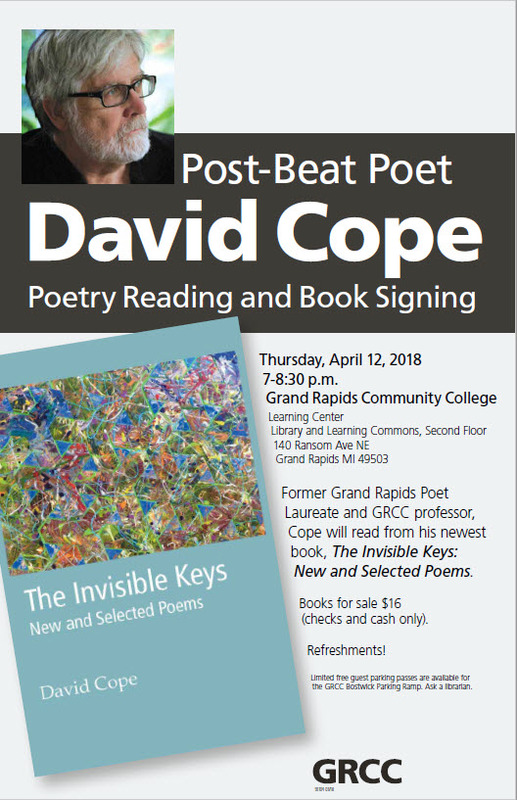 Post-Beat poet and Grand Rapids Poet Laureate Emeritus, David Cope, will read from his newest book, The Invisible Keys, New and Selected Poems, as well as from poems that span his career. 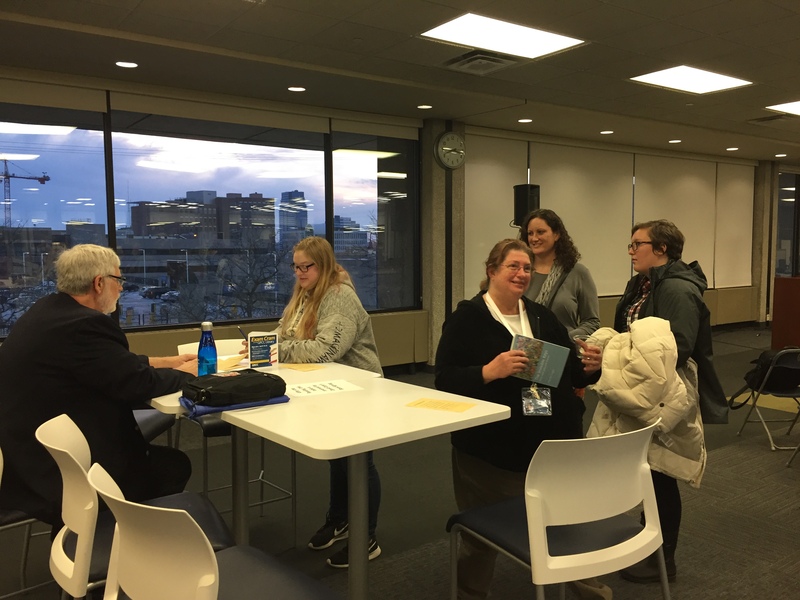 A long-time GRCC English professor, Cope sparked the poetic imaginations of many of his student and served as editor of Grand Rapids Community College Display Magazine for many years. Copies of Cope’s book published by Ghost Pony Press will be available for sale at $16. 7:00 PM, Thursday, April 12. 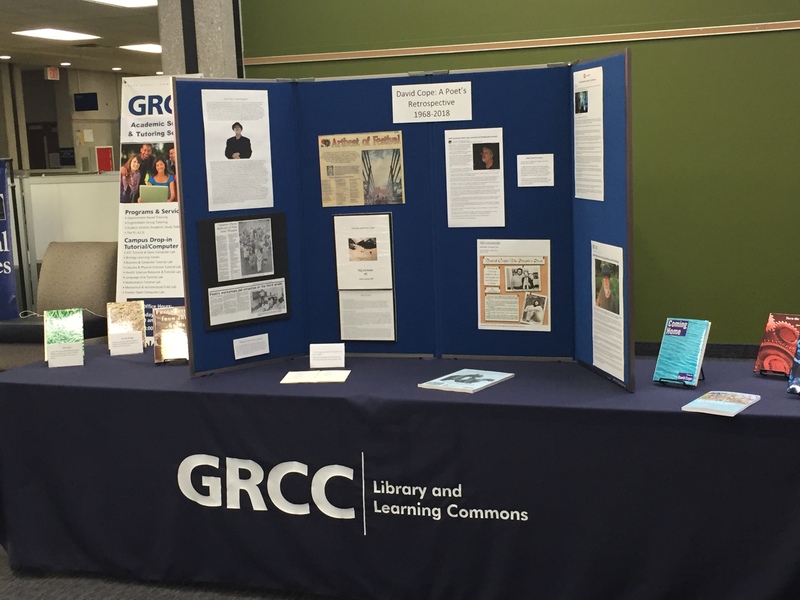 LRC Library & Learning Commons 2nd Floor | 140 Ransom Ave. NE, GR, 49503 | Building #10 on the campus map). Open to the public. | Refreshments | Public parking available in the Bostwick Parking Ramp. (# 8 on the campus map). See our Poetry Subject Guide! Please plan to join us Thursday, April 12, at 7PM in the Library & Learning Commons. Free and open to the public! Mark your calendar for 7:00 PM, Thursday, April 12. Post-Beat poet and Grand Rapids Poet Laureate Emeritus, David Cope, will read from his newest book, The Invisible Keys, New and Selected Poems, as well as from poems that span his bardic career. 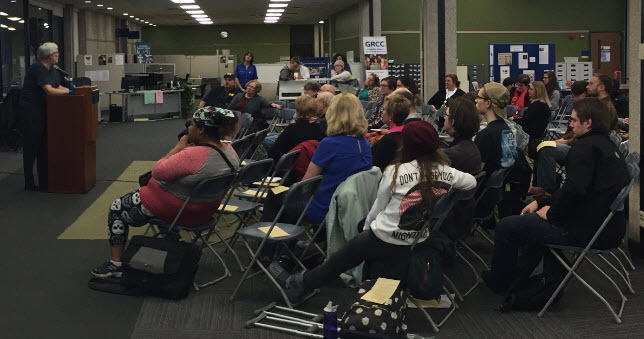 The poetry reading will take place on the 2nd floor of Grand Rapids Community College’s Library & Learning Commons. (140 Ransom Ave. NE, GR, 49503 – building #10 on the campus map). 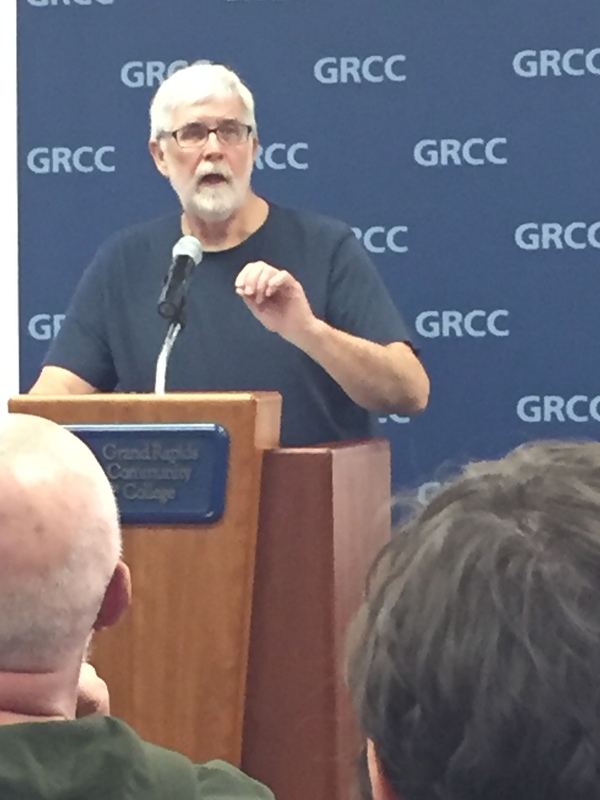 A long-time GRCC English professor, Cope sparked the poetic imaginations of many of his students. Cope also served as editor of Grand Rapids Community College Display Magazine for many years. Copies of Cope’s book published by Ghost Pony Press will be available for sale at $16.